Food is a terrible thing to waste, as are the opportunities it offers. In the battle with climate change, the solutions are before us and yet we struggle to recognize and apply them. Among the actions and people-based solutions that can be immediately carried out by individuals, households, and communities is to minimize food waste. Food waste is a global problem with 1.3 billion tons of food (approximately 30%) wasted annually worldwide, resulting in 8% of global greenhouse gas emission (GHGs). Food waste affects a long supply chain from farmers to customers and brings about economic and ecological losses and social inefficiencies, including land and water use, transportation and energy consumption, deforestation, nutrient imbalances, among others. In the United States, forty percent of food produced is never consumed at an economic cost of $218 billion per year with consumers responsible for about 30% of that loss – the equivalent of one pound of food wasted per person per day and 30 million acres of cropland! Fresh fruits and vegetables account for 39% of the waste followed by dairy and meat products at 17% and 14%, respectively. In 2015, the U.S. Department of Agriculture and the U.S. Environmental Protection Agency for the first time set a target to reduce food waste by 50% by 2030 and received support from Congress in the 2018 Farm Bill for an authorization of $500 billion over five years towards this aim. Priorities include the prevention of food waste through clarifying labeling standards on foods and strengthening education and awareness raising among the general public and within schools to promote food recovery programs and lay the foundations for consumer behavior change. Greater government investment in recycling in general is needed to counter the levelling off trend of the past five years. In particular, attention to food recycling is essential (given its low rates at 2.2%) to increase resource recovery rates through composting and anaerobic digestion and reap the benefits of energy and natural fertilizer production coupled with advancing climate action. At a global scale, the economic, environmental, and social cost of food waste is tremendous, estimated at $2.6 trillion or about the GDP of France (FAO, 2014). Such waste is juxtaposed to global food insecurity affecting approximately 800 million people and has driven the United Nations to commit to “end hunger, achieve food security, improve nutrition and promote sustainable agriculture” in its adoption of Sustainable Development Goal #2. In Paul Hawken’s 2017 luminary book, Drawdown, reducing food waste ranks third among the 100 most powerful and immediately implementable solutions to reverse climate change and reduce greenhouse gas emissions, particularly potent methane gas (CH4). Addressing both the supply-side (i.e. : agricultural production) and demand-side (i.e. : diet, cooking and waste) of the food cycle can spur GHG emissions reductions in carbon dioxide (CO2), methane (CH4) and nitrous oxide (N2O) by approximately 30%, with demand-side solutions (ie: people-based solutions) being the most effective, particularly reducing meat and specifically red meat intake and improving food consumption practices. A 2018 meta-study undertaken by researchers at the University of Oxford, UK, highlights the serious impact of the meat and dairy industry in its use of 83% of farmland and generation of 60% of agriculture’s greenhouse gas emissions. Beef production generates 100 times more GHGs compared to plant-based products. Furthermore, the livestock industry is responsible for significant air and water pollution, including increasing levels of atmospheric ammonia and nitrous oxide. Massive farms, or CAFOs—Concentrated Animal Feeding Operations, also known as factory farms, are common in the US and have grown exponentially from 3,600 to over 19,200 farms within a 30 year period. EPA regulates CAFOs under the Clean Water Act but is thwarted by corporate and regulatory difficulties in obtaining clear data on operations and ecological indicators jeopardizing public and ecosystem health. In the film Wasted: The Story of Food Waste, inspired and produced by the legendary Anthony Bourdain, the impact of food and its trajectory is viewed through the lens of our socio-economic and climatic challenges and highlights transformative cultural practices inspiring positive trends to address food insecurity and promote greater resource efficiency. Cities are realizing the importance of managing food waste to reduce overall solid waste management demands and contribute to the supporting local or regional climate targets. Montgomery County, Maryland has set a 70% waste reduction and recycling target by 2020, while neighboring Washington, DC strives for a zero waste policy. Composting is becoming an important part of local government’s solid waste management strategies to minimize landfill content and enhance infrastructure capacity, reduce tipping fees and support climate action. Pioneers such as San Francisco have mandated composting since 2009, and records an 80% waste diversion rate, while Copenhagen has a twenty year history of not sending organic waste to landfills. 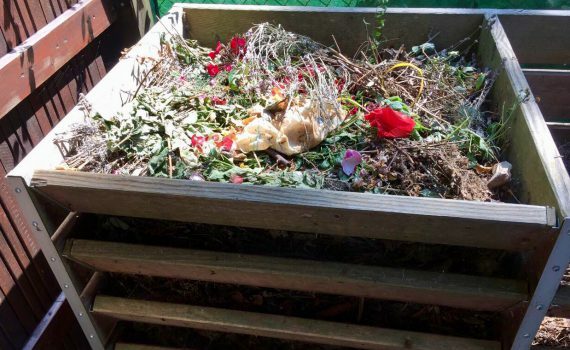 Municipal composting programs can raise awareness of food waste, consumption patterns and economic inefficiencies at the household, commercial and administrative levels, as well as bring attention to local food insecurity, and reinforce food diversion programs to meet the needs of the poor. Cities can encourage food diversion from retailers, institutions and public events, whereby technological applications can expedite and connect organizations serving the needy. Local governments can incentivize and reinforce community-composting efforts through provision of bins, curbside collection and/or information dissemination and training. 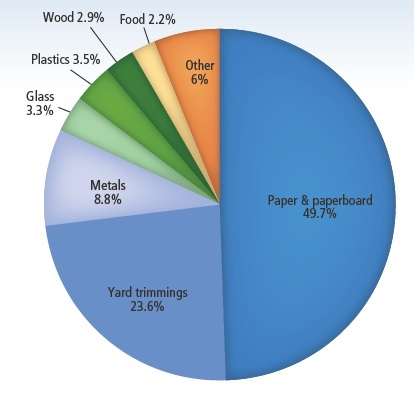 Composting at the household level strongly supports municipal waste programs and helps inform societal views of the overall impact of food from purchasing to eating habits, while fostering environmental stewardship that can bring about immediate and sustained positive socio-economic and ecological gains. The role compost can play in storm water management is another way cities can optimize the use of nature-based solutions to mitigate flooding, soil erosion and water contamination. Furthermore, cities can utilize food waste as a resource for clean energy production through anaerobic digestion. Modern technologies now provide the opportunity for municipalities, farms and food waste producers to create renewable energy in modular, cost efficient systems allowing for distributed, on-site energy generation. With the US national government’s retreat from the Paris Climate Agreement, the responsibility now falls upon sub-national authorities and communities to work together to preserve our natural environment that provides the resources and food critical for human survival. Taking action to rethink food consumption habits and re-purpose wasted food is a pathway to improve and safeguard individual and biospheric health and quality of life immediately at zero to minimal cost!